1. Right-Click Windows Theme Installer V1.1 and select run as Administrator. 3. 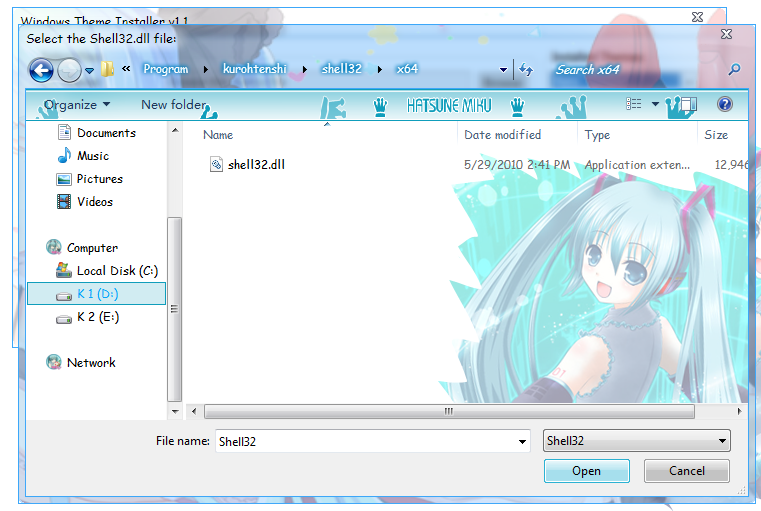 Choose Shell32.dll which suitable with your Bit Windows ( 32bit or 64bit). Click Open. 4. Then click Install Theme and restart your computer. PATCH YOUR COMPUTER FOR ONCE. IF YOUR COMPUTER HAVE BEEN PATCHED BEFORE, YOU SHOULD NOT PATCH THE SYSTEM AGAIN. YOU CAN CHANGE THEME WHENEVER YOU WISH.